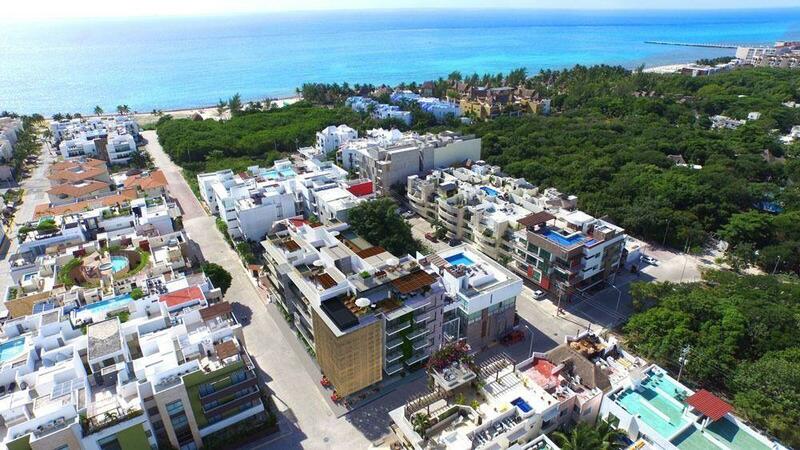 Luxury apartment in the center of Playa del Carmen. Anah Suites, 1 bedroom with king size bed, 1 bathroom, living room, kitchen, terrace, sofa bed, AC and fans in all environments, closets. Underground parking, amenities with pool, jacuzzi, rooftop. Property located on the ground floor.